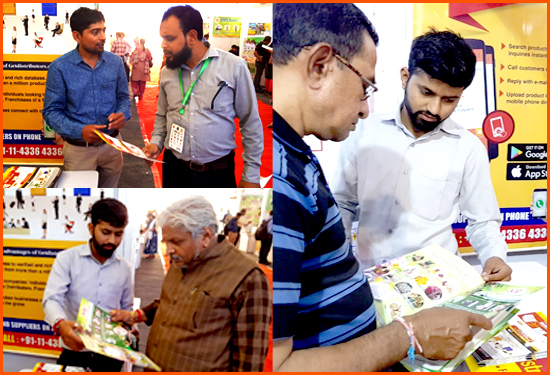 Ayush India Expo 2018 - TradeIndia trade show participation at Ayush India Expo 2018, Sabarmati River Front, Ahmedabad, India. Sabarmati River Front, Ahmedabad, India. 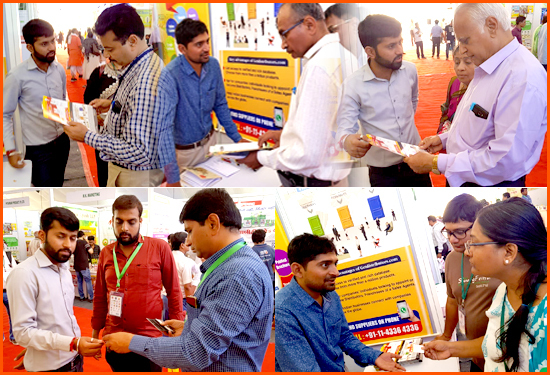 AYUSH INDIA EXPO 2018 was organised by Spark Media which took place from 19-21 October 2018 at Sabarmati River front, Ahmedabad, India. AYUSH INDIA EXPO 2018 was a focused exhibition for all ayurvedic, herbal and natural products suppliers for networking and brand display. It served the platform for bringing together by increasing awareness among buyers at exhibition on best alternative therapies like Ayurveda, herbal, essential oils & spa, natural ingredients, natural personal care, organic products. and nutritional food, beverages. With the wide acceptance from Western countries, alternative therapies "with no side effects", India is also poised for highest consumption. AYUSH INDIA EXPO 2018 was instituted to showcase the Indian ancient power delivered with the best use of advancement, global processes and how all brought together benefits to people's health..
A large number of satisfied exhibitors showed their presence in in the exhibition displaying wide array of products & services related to Ayurvedic & Unani Products,Manufacture Of Medicines Powders, Herbal Product, Cosmetic Product, Essential Oils & Spa, Cosmetics, Make-up, Skin & Hair, Dental, Baby Care, Fragrances & Perfumes, Body Care & Hygiene, Massage & Spa Products Essential oils & Aromatherapy, Plant Extracts Raw and Encapsulated Herbs, Spices, Natural Ingr dients, Nutraceuticals, Functional Food & Bakery Ingredients, Cosmeceutical, Oil & Oilseed extract, Natural Essence, colors & Flavorings, Textile Fibres, Detergents, Pesticides, Fertilizers & Crop Care, Household Cleaners, Forest Produce, Bio-energetics & Essence Sticks, Herbal, Ayurveda, Naturopathy, Homeopathy, Unani, Siddha, Chinese Medicines And Other Traditional Medicines, Food, Beverage, Medicine, etc. Processing Technology, Specialized Packaging, Encapsulation Equipment, Labeling, Hotels, Natural Remedies &Therapies, Universities & Institutes, Oraganic Foods, Health And Dietary Supplument, Diet Product, Sports Food, Nutritional Drinks Antioxidants, Fortified Foods etc. Coming to the visitor's profile who enthusiastically took initiative were like Distributors, Importers, Buyers, Dealers, Exporters, Manufacturers, Researchers, Formulators, Doctors, Investors, Healthcare Practitioners, Retailers & Retail Outlets, Supermarkets & Dept. Stores, Spa & Health Centers, Association Members and many more. 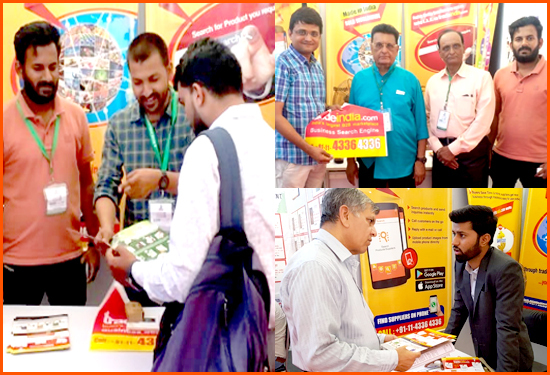 Tradeindia.com - India's largest B2B Marketplace, with its clear objective of promoting Indian Manufacturers, Exporters & Importers globally participated at "Ayush India Expo 2018" and was also Online Media Partner of the show. Tradeindia's representives at the show met with many visitors at the show who were potential buyers and some of them were also industry leaders. Visitors were given tradeindia's product brochures offering comprehensive information. The visitors appreciated tradeindia's efforts and took tradeindia's offered products happily as they also felt it will help them further in their sourcing. Nevertheless, tradeindia's red & yellow promotional bags were hit amongst the visitors and were seen carried by the visitors across the show on all days of the event. .